You guys. Sometimes I get super excited about the recipes I create. This is one of those times, but I can’t take all the credit for it, because Vital Proteins provided a stellar ingredient, without which this vanilla buttercream frosting would not be possible. 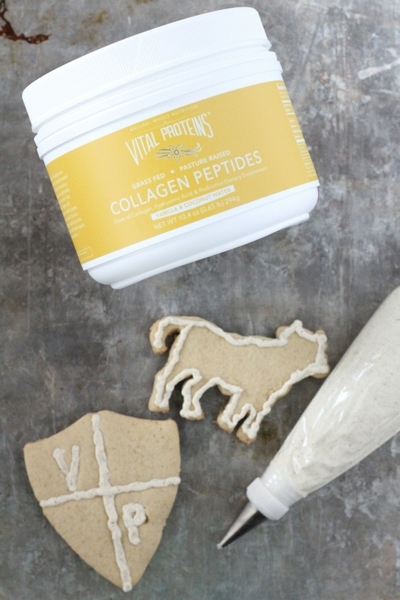 This post is sponsored by Vital Proteins, who sent me their new Vanilla Peptides, which just might be my New Favorite Thing. 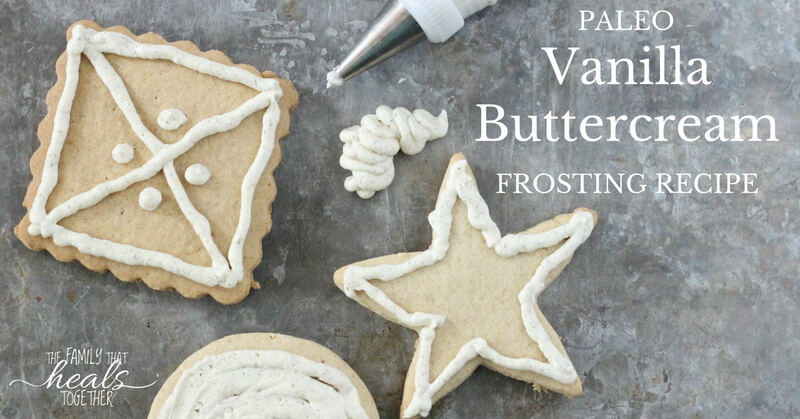 Have you tried making a vanilla buttercream frosting and found it lacking… something? Texture? Definitely. Flavor? Yeah. Spread-ability and time-withstand-ed-ness? For sure. Eating a healthier diet means saying no to the white stuff… ya know, sugar. You know what typical buttercream frosting recipes contain? The white stuff. Lots of that powdery, billowy, white stuff. In fact, conventional vanilla buttercream frosting recipes contain infinity more sugar than anyone should be consuming. Most that I’ve seen call for 3-4 cups of powdered sugar. I can’t even process that (physically or mentally!). We use raw honey and maple syrup most often, and I’m happy to report that this recipe uses a reasonable amount of raw honey to provide just the right amount of sweetness. Use this frosting to frost sugar cookies, cakes, cupcakes, or whatever your heart desires, ’cause it is good, y’all. My four boys and Mr. Incredible (and the dog that wouldn’t leave us alone through picking out our Christmas tree and taking a hay ride last night) say so. Besides the fact that this recipe tastes amazing and works perfectly in a piping bag, it sets up nicely and doesn’t wilt, even hours later. The peptides in the recipe are crucial to the nice, firm texture. Before I crack into the recipe, I’ve got to tell you about this amazing new peptides product that is going to knock your socks off. It’s decadent. It’s lovely. And it’s packed full of protein, hyaluronic acid, and even probiotics. It’s a win-win-win. Which means… shhhh: this frosting is crazy healthy. You’ll be dosing your friends and family with gut-healing ingredients while they shovel cookies down their pie, er- cookie, hole. I discussed the differences between gelatin and peptides in this post, but basically, peptides are a form of collagen that dissolve easily in both cold and hot liquids, and do not congeal like gelatin. These new Vanilla Peptides do all of the above and more, because they’re made with coconut water, hyaluronic acid, probiotics, and bourbon vanilla bean powder. Basically, they’re extra good for you and taste amazing. Seriously, when I opened the container, the smell reminded me of those vanilla sandwich cookies. Vanilla over chocolate every day, yo; I’m a vanilla girl all the way. 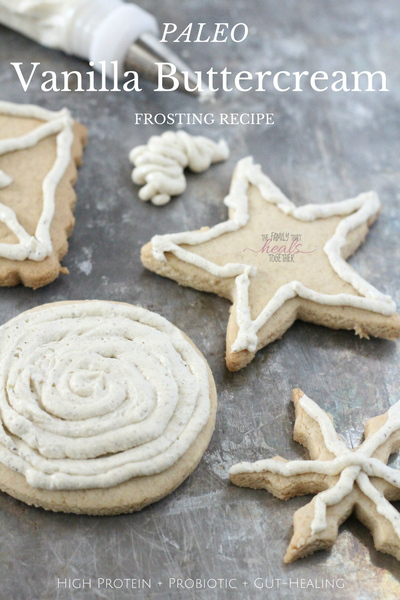 I think this is a great product to keep around for special recipes like this one, as well as these Very Vanilla Sugar Cookies, but also think of it as a supplement. I love throwing a scoop of peptides or gelatin in smoothies or tea (the Mister is especially into putting collagen in his coffee these days, but you know I don’t like coffee ’cause I’m not a real grown-up, so I opt for Bulletproof Chocolate Milk instead) for a nutritional boost that’s easily assimilated (read: your body can use it easily) to improve gut health and up my protein intake. Oh my goodness, I adore these cute cookie cutters: a happy, grassfed, frosted cow (never thought I’d make a cow cookie- where was this for my little’s farm-themed birthday party? 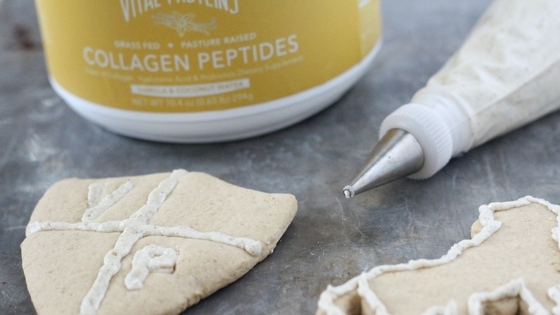 ), and the Vital Proteins shield logo (which my kids fought over, because shields are super cool and knight-related, and probably also because they were the biggest cookies). In a large bowl, using a hand mixer, beat the butter on medium-high for 30 seconds, until creamy and fluffy. Add raw honey and beat another 30 seconds until smooth. Add Vital Proteins Vanilla Peptides and vanilla and beat once more until smooth. 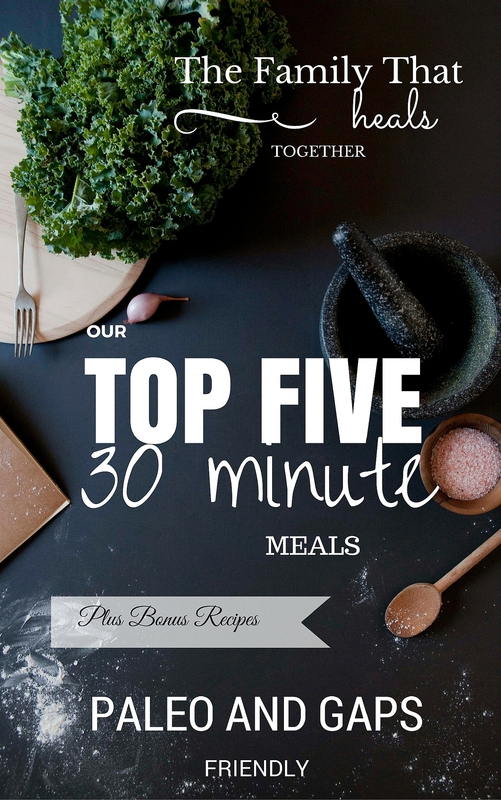 Use to top Cassava Flour Sugar Cookies, cakes, cupcakes, or whatever your heart desires. Hi Rene. I can’t say since I haven’t tried it, but if you do, let us know how it goes! I’m super excited to try this! I just got a set of Russian frosting tips and have been looking for an icing recipie that has much less sugar than my traditional one. Thanks for sharing! I hope you loved it Andrea!